Miley Cyrus' tongue slide has slid into a personal injury lawsuit. Alas, it's not the pop star's real tongue. The lawsuit involves a giant slide modeled after Miley's tongue that the performer slides down to the stage as part of her "Bangerz" tour. So basically, she sticks out her real tongue as she rides down a massive plastic rendition of her tongue sticking out. Très meta! A construction worker claims the tongue slide is a dangerously slippery slope. Charles Nicholas Sarris is suing ShowFx Inc., the Los Angeles based equipment company that constructed the massive tongue slide for Miley's tour, TMZ reports. Sarris alleges he was hired to assist in the slide construction but was badly injured while working last month. He claims the tools and equipment provided to him failed, causing him to take a nasty fall from Miley's tongue slide and get injured. He's suing for unspecified damages. But do his construction injuries come with the tongue territory? Construction workers regularly confront some of the most dangerous working conditions. On-the-job construction injuries are quite common in the industry. General and sub-contractors must provide to workers a construction site that is reasonably safe. They also have a legal duty to warn of any defects or hazards at the site (as well as any hazards inherent in the work being performed). 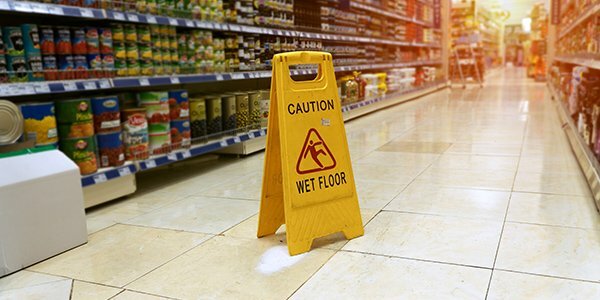 Sarris claims his slip and fall injury -- the most common type of workplace injury -- resulted from ShowFx's negligence. He claims the company failed to warn him of the potential dangers involved in the slide construction. He also says the tools and equipment provided to him failed to prevent injury, TMZ reports. Sarris will likely obtain workers' compensation as most on-the-job injuries are covered by workers' compensation. However, workers' compensation laws might affect his financial recovery against his employer. By contrast, workers' compensation laws probably would not affect lawsuits against other parties potentially responsible for his injuries, such as third-party contractors, property owners, or equipment manufacturers. In this case, it's unclear whether ShowFx is his employer or not, so it's tough to say how workers' compensation will affect his case.